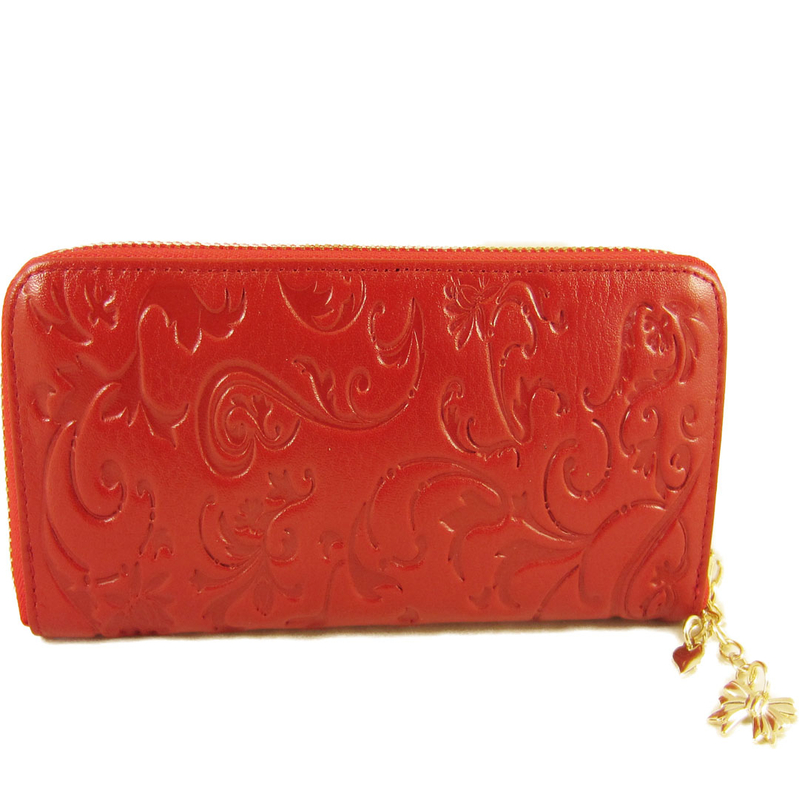 This classic style Ladies wallet is made of red genuine leather with a scroll embossed print. It has a gold zip around closure. 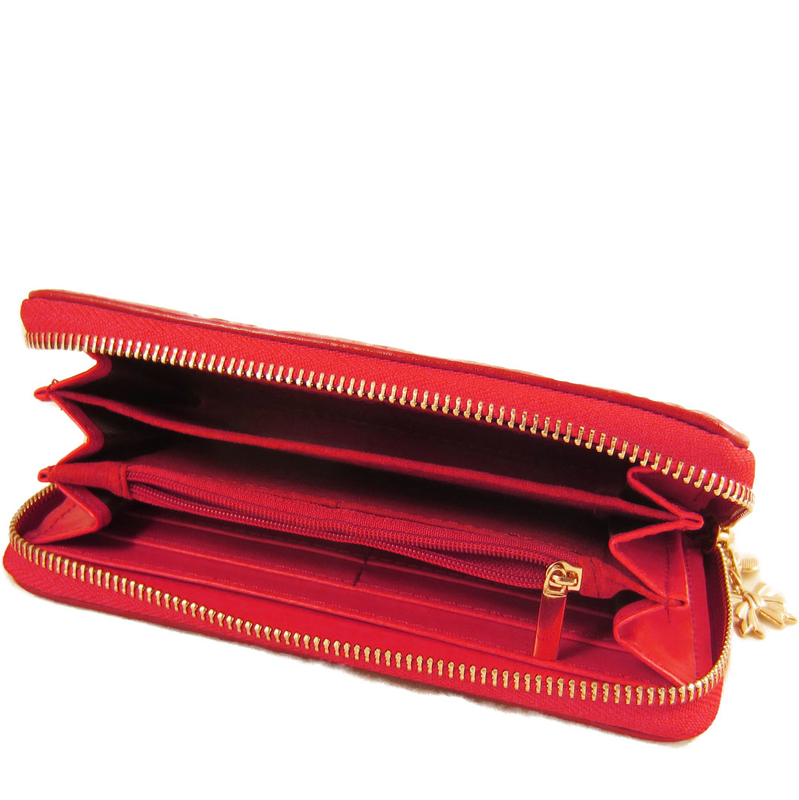 The interior has 12 slots for credit cards, an interior zipper pocket and a middle divider. This wallet is also available in navy blue.